Although sporting goods stores advertise carrying mouth guards, pre-made mouth guards will never offer the protection possible through a custom fitted athletic mouth guard. Not only are off-the-shelf mouth guards not as durable, but they also offer very little actual protection. Instead of waiting to come to the dentist when an oral injury has taken place and need repair, be proactive about protecting your teeth whenever you are participating in contact sports. 1 Prevent significant damage to your teeth while participating in sports. 2 Save money by avoiding costly dental repairs after injury. 3 Enjoy a comfortable custom fit which does not impact talking or breathing. 4 Make your mouth guard investment worthwhile as the durable material will last significantly longer than pre-made mouth guards. Prior to creating your mouth guard, we will discuss your level of activity and needed protection. The thickness of your mouth guard can be varied to provide the coverage needed to fit your lifestyle. Since proper fit is vitally important, we will take meticulous impressions with dental putty to ensure that your athletic mouth guard will fit comfortably. After the molds are made, we will create your mouth guard from a thermoplastic material which will be durable and comfortable. Inspect your mouth guard's fit. Proper fit is necessary for the protection of your teeth as well as your comfort. Wearing an ill-fitting mouth guard could cause distracting discomfort. Once certain the mouth guard fits ideally, we will provide guidance on proper usage and care of your athletic mouth guard. At every dental check up, make sure and bring your mouth guard to ensure your teeth shifting has not impacted the fit. 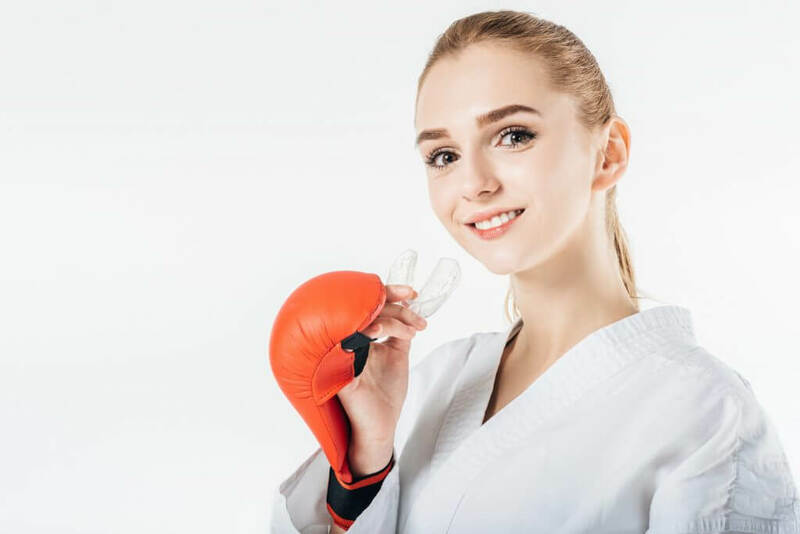 If you are interested in a custom athletic mouth guard, contact Providence Dental Spa today to schedule a consultation to determine the best solution to protect your teeth.